This is a Sponsored Post in collaboration with Boots but all thoughts are my own. 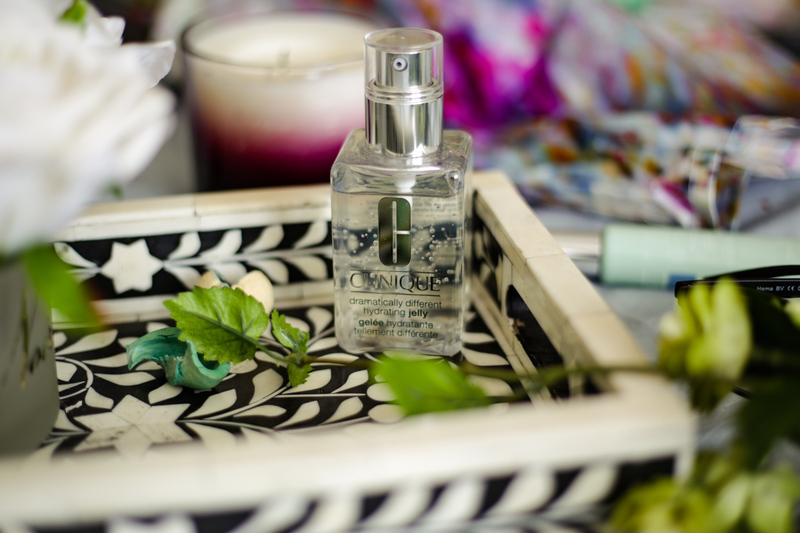 A clear, radiant complexion, which is perfectly hydrated is what we all seek. Makeup and those glow giving highlighters and primers have a huge part to play but nothing compensates for good skin. However, as someone who travels on London’s buses and works all day in an office, I’m all too aware of the harm my skin is exposed to on a daily basis. From air pollutants and sun exposure, to air conditioning and central heating, my skin, probably like many, sure does take a battering. Add to that stress, lack of sleep and a diet which leaves a lot to be questioned, and I immediately notice a dull and much drier complexion than normal. But there’s always a solution and that’s why I’m so excited to collaborate with Boots on their Dare to Bare Campaign and share with you my top tips as well as the products you can use to counter-act the challenges your skin goes through on a daily basis. So read on to find out more. 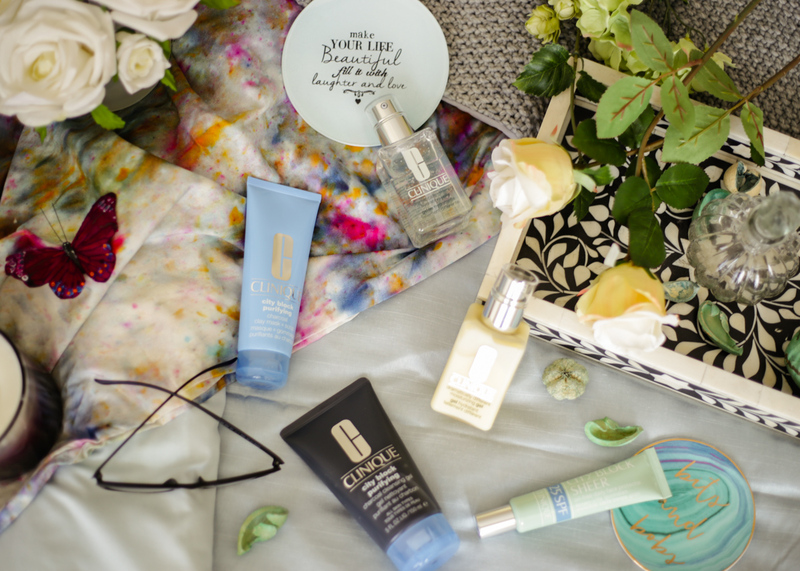 First up, it’s really important to have a skincare regime…no excuses. There’s so much available out there, even for those who don’t have time on their hands and I’m a huge believer that the whole process, if you find something that works for you, is actually really therapeutic too. I like to use a variety of brands and products but if there is one brand that’s got skincare nailed, that’s Clinique. They cover every skin type and their products are allergy tested, fragrance free and centre around enhancing natural beauty. In fact, you can discover some of their great products throughout the rest of this post and if you are looking to enhance or develop an effective skincare regime then this brand is a great place to start. Excessive central heating and lack of sleep really makes my skin look dull. It’s also a clear sign of dehydration so plenty of water is a must. I like to keep a large water bottle at my desk at work and aside from my skin looking and feeling less tight, this helps to boost my energy levels. Drinking plenty of water is of course vital, but it doesn’t shield the skin and lock in moisture. That’s where the Clinique Dramatically Different Hydrating Jelly * comes in. Super lightweight, this transparent formula has clever clean-shield technology™ which, quite simply, locks in the good and keeps out the bad. Think of it as anti-pollution skincare at its best. With a blend of Sunflower Seed Cake, Barley Extract, and Cucumber Fruit Extract, the airy formula keeps the skin hydrated all day and works well on its own, or layered with my favourite moisturiser. Being exposed to pollution and the like, I love how this gives my skin that extra layer of protection and it feels so cooling and refreshing against the skin. If I didn’t wear makeup, I’d be fooled into thinking I didn’t need to cleanse my skin. That couldn’t be further from the truth as it’s amazing how much invisible dirt and grime collects on the skin. The air we breathe unfortunately isn’t the purest and one can only imagine how much of that nastiness our skin absorbs. That’s why a double cleanse is a must. I love my cleansing balms and oils for an initial cleanse, but I always recommend following this up with a second, deeper cleanse. This’ll remove all those impurities and keep the skin healthy as well as clean. 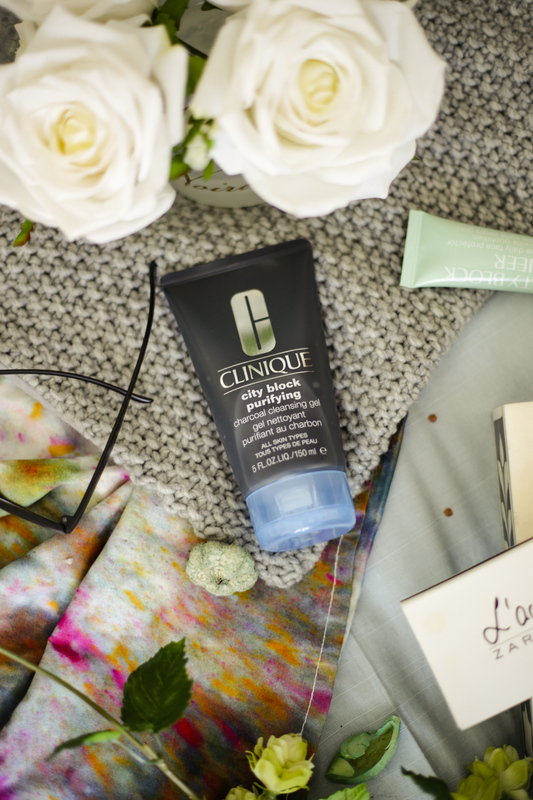 The Clinique City Block Purifying Charcoal Cleansing Gel * has some great purifying properties and really helps to lift dirt off the skin. I actually like that this cleansing gel is black in colour and I feel like it really gets to work, digging deep into the pores and helping to control excess oil at the same time. This also works wonders as a part of my post-gym cleansing routine. If it’s not pollution, exhaust and smoke, then general day to day stresses also play havoc with our skin – neither are good to be honest. 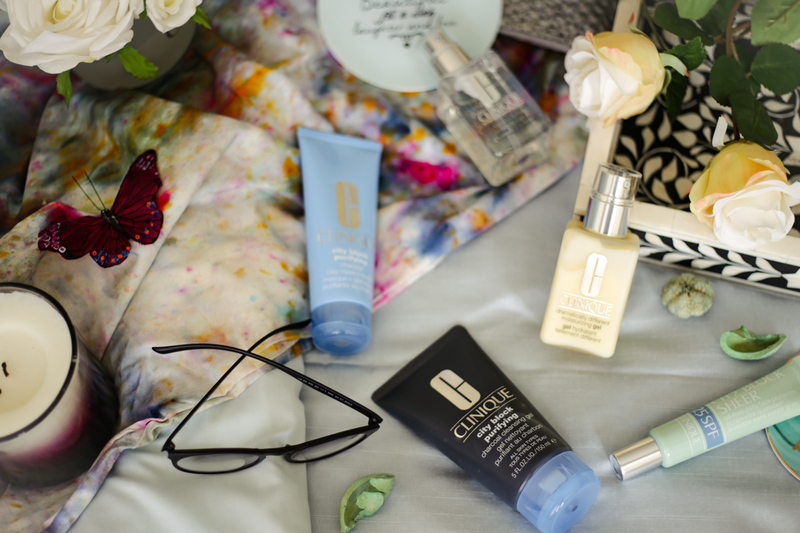 But a little pamper session helps put the mind at ease and nothing does that better than a face mask. Again, with that magic dirt-lifting ingredient by way of charcoal, the City Block Purifying Charcoal Mask & Scrub * is a fantastic detoxifier. This dries pretty quickly and as you wash it away with water, it also turns into an exfoliator too, scrubbing away at those dead skin cells. I love a good scrub and this two-in-one product is the perfect addition to my skincare routine. Our skin goes through a lot in a day and as well as the products we use, maintaining a good diet that includes plenty of fruit and veg, drinking lots of water and making sure we get a good night’s sleep is so important too. I’m sure you’ve heard it many times, but SPF is vital. The sun’s harmful rays causes premature skin ageing, hyper pigmentation and age spots. Even in the autumn and winter it’s a step that shouldn’t be neglected. Luckily SPF’s have come a long way from the white gloopy mess that I remember back in the day. In fact, clever formulations mean they offer so much more than just protection against UVA and UVB rays, but they work as great primers, add glow and enhance our makeup as well as our skin. I’m currently loving the Clinique City Block Sheer SPF 25 *. This weightless formula also helps to absorb excess oil making it a great primer too. Although this has a pinky peach tinge, it’s sheer once applied on the skin and I can rest assured my skin has the protection it needs all day. Lastly, I think it’s worth investing the time in finding the perfect moisturiser. 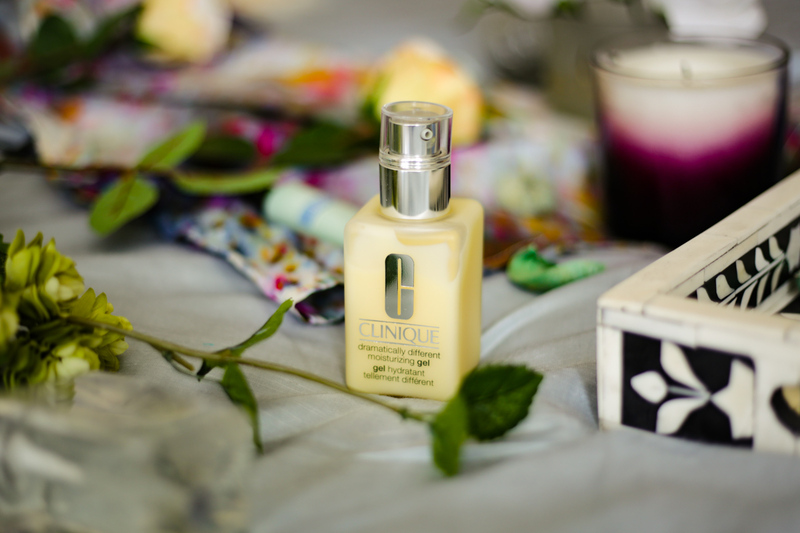 A good moisturiser is key to keeping your skin hydrated as well as providing that barrier to environmental stresses. But how a moisturiser sits under makeup is just as important as its overall skincare benefits. 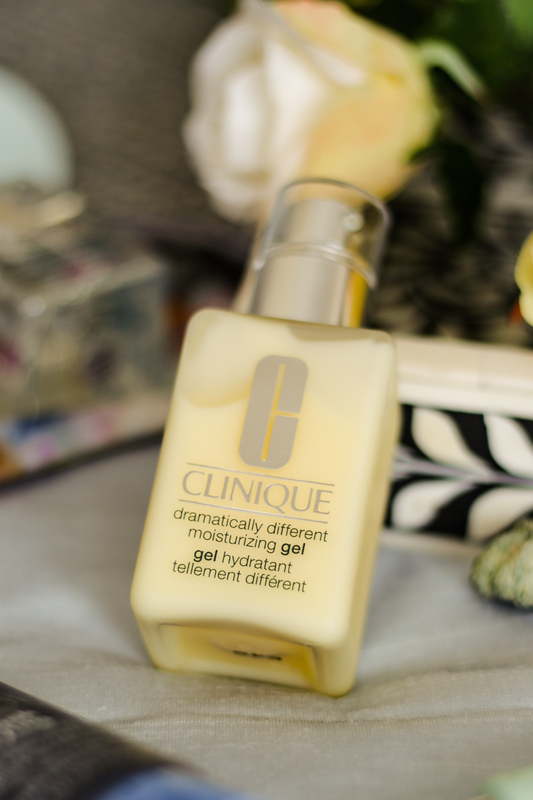 I’ve been using the Clinique Dramatically Different Moisturizing Lotion . * This iconic moisturiser has been around for 45 years and the new formula ensures double the level of hydration. The mix of Hyaluronic Acid, Glycerin and Urea, which is a naturally occurring component in the production of skin’s own natural moisturising factor helps to strengthen the skin and provides that barrier to environmental stresses. 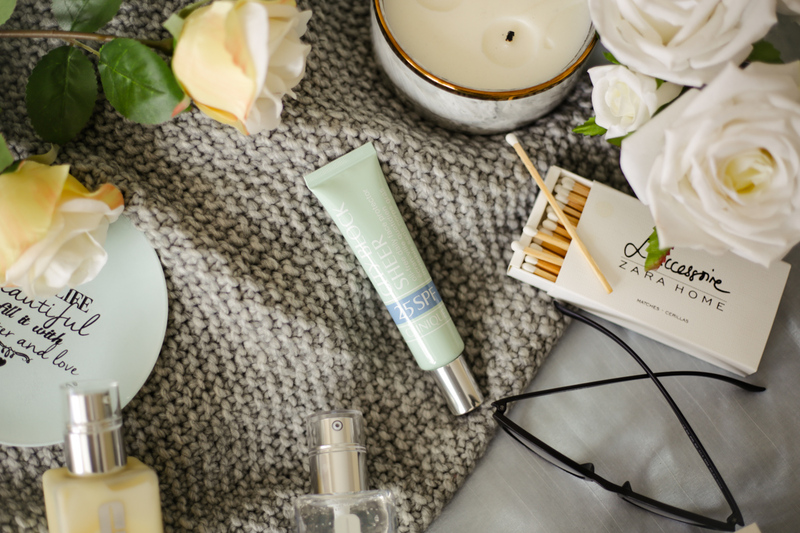 A moisturiser that absorbs easily is a must, especially when I’m in a rush in the morning and this does exactly that without compromising on the hydration I need. Even one pump is enough to cover the entire face but I like to add a little more for good measure, especially as I find that central heating dries my skin out. If you want something lightweight but effective, then this is a great moisturiser to try. When your skin needs that extra bit of TLC, I recommend using this together with the Dramatically Different Hydrating Jelly – this makes for a great skincare duo. Ultimately, healthy skin isn’t just about how it physically looks but how well it can withstand the day to day stresses and environmental factors – something ultimately only we are responsible for. Luckily there’s plenty of help at hand and these products are a great place to start. Like anything, however, results aren’t just going to come about overnight, and any skincare regime is about consistency and you are more likely to see more prolonged results over a period of time. This post is in conjunction with Boots but all thoughts are my own. This post also includes gifted items which have been marked with an *.